If you are in search of some place that can provide you complete isolation, then Shakti 360 Leti is the place to be. 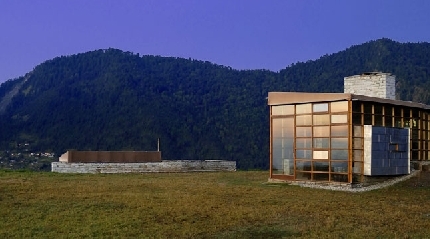 Shakti 360 Leti is a luxury hotel, placed at a ridge, offering its guests proper comfort and ease. The staff here is quick and always ready for guest service. 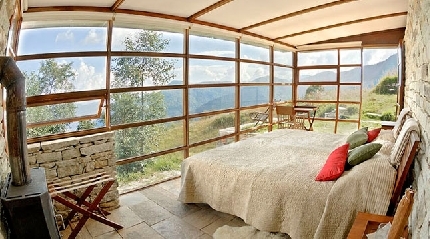 Tranquil ambience, lush greenery and breathtaking Himalayan peaks define the true form of Shakti 360 Leti. Salubrious weather adds to its appeal. There are total four pavilions, fully equipped with all modern amenities. From each pavilion guest can adore the vast expanse of the place. There is a fine dining area to savor variety of cuisines. Other than just enjoying the facilities of the hotel, guests can also go on excursion to local schools, markets and temples. A visit to this attractive location will familiarize you with the friendly locals and get to know about the everyday life of locals. Guests can also stroll around the beautiful organic garden of the hotel. Shakti 360 Leti has a whole lot to make your vacation memorable. 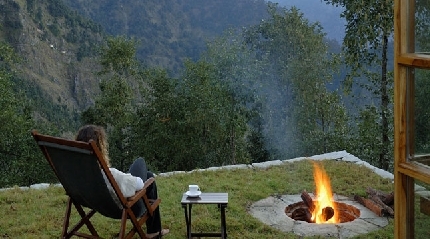 Guests here can indulge in trekking, guided walks, fishing, bird-watching and camping in beautiful remote locations. The hotel provides cooking sessions on Indian and Tibetan cuisines. Guests can also opt for rejuvenation spa therapies like Ayurveda, Yoga and meditation. Shakti 360 Leti has taken a good care of accommodation options for its guests. Located at a height of 7000 ft, the hotel comes up with four amazing pavilions with a backdrop setting of majestic Himalayas. 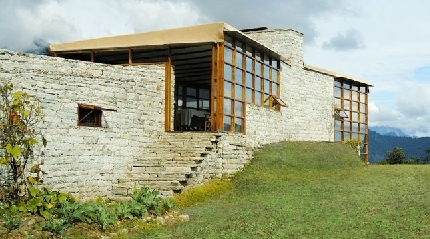 Designed as per modern tradition, the pavilions are simple and constructed with stone and glass. The interiors are elegantly decorated with handmade furniture. Each cabin is well-set with all in-room amenities such as solar powered lanterns and en suite bathrooms, which have solar powered rain-head showers along with toiletries. There is a private sit-out provided with a fire-pit in each section. Guests can step out of their pavilion and relish the spectacular sunset. Serving the absolute comfort, Shakti 360 Leti features a dining room and a communal living room, where varieties of delectable and delicious cuisines served. The dining room marks a combination of serene and aesthetic ambience. 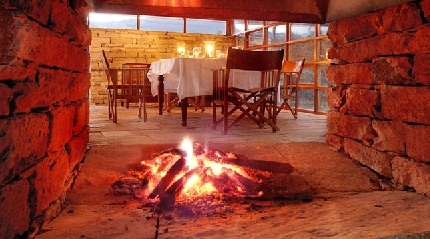 There is a wood-burning stove that depicts the simple lifestyle of locals. Adding on to its beauty is the Damask tablecloths and candles making the ambience look more fascinating. Private dining can also be arranged on guest request. The hotel is family-friendly more.